Design Workshop takes on the challenge of redesigning and rethinking museum space. 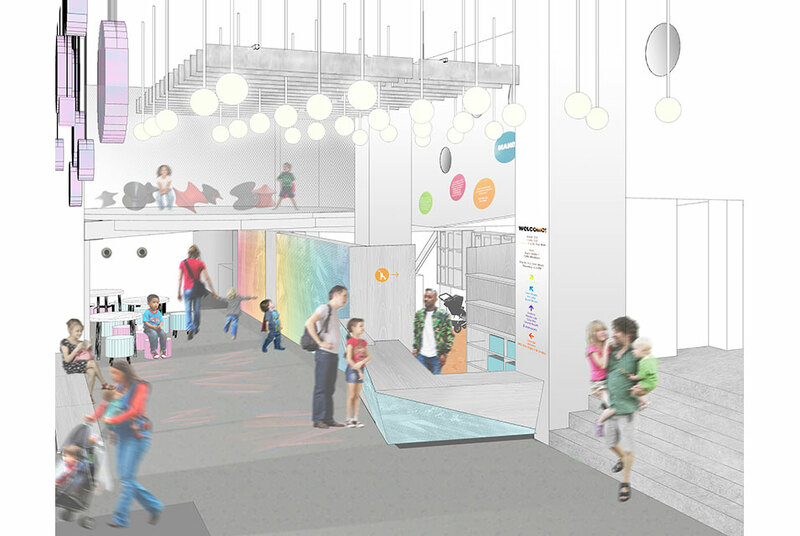 Nine graduate students from Parsons School of Constructed Environments has been working diligently over the summer to create a more easy flowing and exciting lobby and lounge area for The Children’s Museum of the Arts in Tribeca, Lower Manhattan. The project is being overseen by Mark Gardner, Director of the M.Arch program, Dr. Sharon Sutton, and Nick Brinen. The students are due to finish the renovation on August 25th. Design Workshop was established in 1996 providing pro bono architectural and construction services to communities and non-profit organizations across the 5 boroughs. 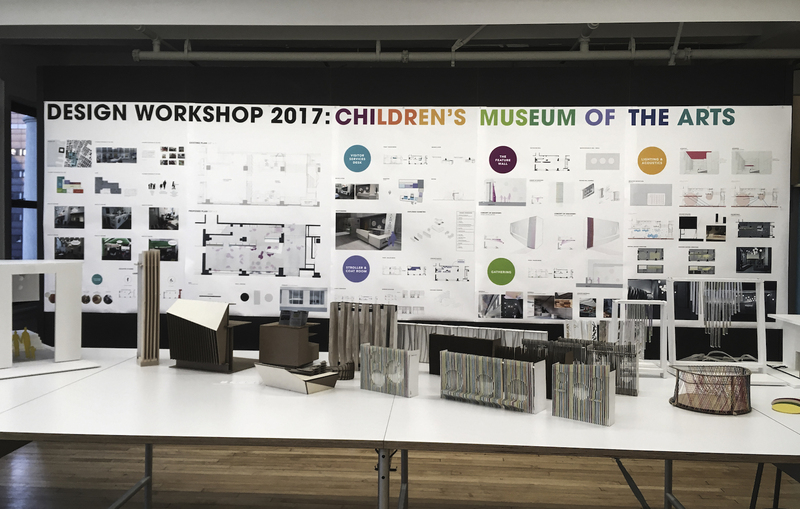 The Design Workshop students came up with inventive solutions that not only fulfilled the desires of the clients and the needs of the site, but also satisfied the nonnegotiable requirements from the NYC Building Code and Regulations. The students went through an elective affinities process to reach the final cohesive design upon which they developed into construction documents and material mockups. For detailed information, please click Here!